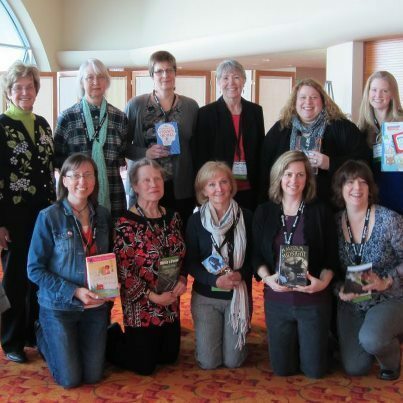 Hi all — I was hanging out last weekend with authors, librarians and media and technology educators in Madison, WI at the WEMTA (Wisconsin Educational Media and Technology Association) annual conference. This is such a great group of educators dedicated to providing the strongest literature and media possible to Wisconsin students and our group of writers absolutely loves working with them. But that wasn’t the only big event this week. On Tuesday morning, I brought Lenard D. Moore, a friend and jazz and haiku poet to Capitol West Academy to perform his spoken word poetry with saxophonist James Dallas. This group of kids was amazed to discover that poetry is the same thing as lyrics to music and if they like music, they like poetry. That evening Lenard brought his poetry to Mount Mary College where he performed his work with Dennis Klopfer’s jazz trio. People were on their feet! Dancing, Clapping. Loving it! Great week. But I am soooooooo beat!